– with Facebook, Twitter, Instagram etc. Social media marketing means having and using a social media accounts as an online tool to promote your business product or services. A Social Media Marketing Strategy is one part of the digital marketing techniques to use social networking platforms to gain traffic and attract the targeted audience. We can assist you in setting up accounts and graphics so that you can get the benefit of these useful platforms. 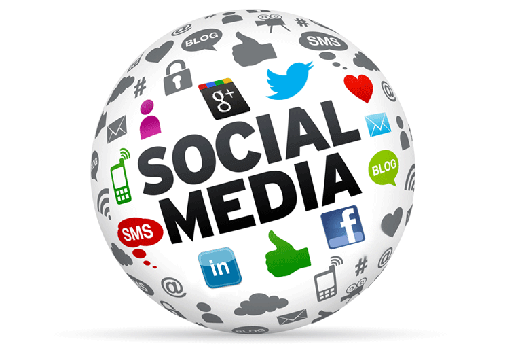 It is easier to be successful in digital marketing by using social media. It helps to strengthen your marketing strategies and maintain relations with existing clients as well as to acquire new clients. In addition to assist you in building social media accounts we can set up your website to enable viewers to go straight to your social media pages or “share” your site with your own contacts. We invite you to contact us for more information by phoning us 07 895 3344 or email us using the contact form.